A student needs a teacher. A government needs a system of checks and balances. An athlete needs a coach. An actor needs an acting coach. Quick: Americans, name a few big hitters....Babe Ruth, Joe Dimaggio, Hank Greenberg, Ted Williams. Brits, Europeans, name some great footballers; Beckham, that guy from Spain, Massi? I am sure everyone can think of a few. Now...name their coaches. Name the Yankees batting coach. Nothing comes to mind. Unless you are a sports fanatic nothing will come to mind. No one remembers their names. But...they are important, vitally important. Here is a classic analogy. Every batter, every hitter, now and then goes through a slump. During my many years of following baseball I saw this countless times. My guy, my hero, Yaz, would be doing great and then suddenly, 0 for 4, zero success rate. A few bad games and it is official; the guy is in a batting slump. Painfully we watch him day after day but he cannot get a hit. What went wrong? He is not sick, his fielding is fine but somehow he just can't get a decent hit, he can't hit any home runs, the magic is gone. And then, it comes back. Over time we develop little ticks, some bad habits. We move our hips incorrectly, we drop our shoulder before our swing, we forget a detail, or we do something else, something minor, something small that changes everything. And then we have our coach. or..our Krav coach. Our instructor. Our coach is watching us. Ever notice that fat guy sitting on the side? Out of shape, former ballplayer, sitting there chewing his tobacco? That guy is important. He isn't just sitting there doing nothing, he is watching the ball players. He is totally focused on the little changes that they accidentally make. And when he comes up and says...Hey Joe, the reason you ain't hittin' the ball so good is because you are dropping your left shoulder a bit. That's why all the balls you hit end up on the ground and are easily caught. That is why you are in the slump. The correct answer is, "Thank you coach". And the coach says, "Hey Joe, that's what I am here for, that's why I get paid the big bucks". The incorrect answer is, "Hey, tell me coach, who was on the front cover of Sports Illustrated, me or you? Who just signed a million dollar contract, me or you? So why don't you just sit down and look pretty and leave me alone". The coach has the years of experience, the life wisdom. Rocky, one of my favorite movie characters. 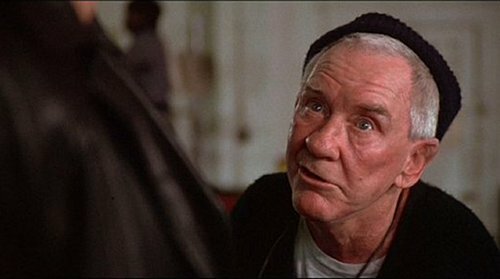 But who is the co star, Mickey, the coach, played by Burgess Meredith. Mickey is old, weak, can't talk English too well. But he's got the wisdom. He insults Rocky, mocks him, ridicules him and loves him. He is the force that drives Rocky to success. He finds the faults, the little mistakes in Rocky's stance, his punch, his drills. We all need a coach, we are need that loving rebuke to get us straight. Now there is no doubt that Rocky Balboa can easy take out Mickey in a fight. But that does not matter. Mikey is the eyes, the wisdom. He sees the little mistakes and it is he who truly makes Rocky the champion. 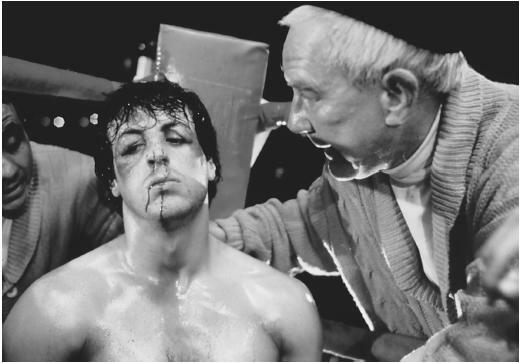 We can truly say that without Mickey Rocky would be nothing. I find that with my own Krav Maga students. Those who are here in Israel - I can supervise on a daily basis. But those who are long distance students I cannot see on a regular basis. There are some whom I see a few times each year. They come to Israel, they fly to every seminar. Stephan from Germany has been to Israel 3 times, he has attended seminars with me in Germany, Holland, France and Switzerland. But for others all they have are the DVDs and the short daily clips we send out. As good as that is it is sometimes not enough. Little mistakes creep in and then...like the batter in the slump suddenly they are striking out. Suddenly the magic is gone, suddenly nothing works. The answer is simple; Go back to the Krav coach, and say, "For some reason this is not working for me anymore, can you watch me and tell me if I am doing anything wrong?" In most cases it is a simple correction and easily correction. If we cannot come up with an answer, then we adapt the technique. We take the technique, we find the biggest guy we can, and we test in full force. And then ...we present it to you. When in doubt...talk to your coach. Everyone needs a Mikey in his corner. IKI Membership. Get yourself a real coach.